For the first time in 21 years, ADDults with ADHD is entering a team called the ADHD HEROES, in the Sydney SUN HERALD CITY2SURF on Sunday, 13 August, 2017. ADDults with ADHD sincerely thank our sponsor, neuroCare Group, who kindly supplied our excellent team t-shirts. Please visit their website. In 2017 this is our main event to raise funds for THE ADHD CENTRE™, an initiative of ADDults with ADHD that delivers vital, free, ADHD CENTRE™ resources plus support services for adults and families living with ADHD. Thanks to those who already donated through the ADHD HEROES website and directly to the office. Total donations are heading towards $3000. BUT MORE HELP IS NEEDED TO GET CLOSE TO OUR GOAL WHICH IS $10,000. BE A HERO FOR ADHD - DONATE NOW. You can support the ADHD HEROES team in three ways. Choose one or all of these ways, depending on your circumstances. Dr Keith Connors, whose work with hyperactive children established the first standards for diagnosing and treating what is now known as attention deficit hyperactivity disorder(ADHD) died on July 5 in Durham, North Carolina, aged 84. He had collaborated with others in the early 1960s, when what we now call ADHD began to take clearer shape, and probably knew more about what the disorder is, and is not, than anyone who has ever lived. The field of child psychiatry was still young when Dr Conners joined the faculty of the Johns Hopkins University School of Medicine in the early 1960s as a clinical psychologist. In 2017 this event will be our main event to raise funds for THE ADHD CENTRE™, an initiative of ADDults with ADHD. All money that is raised will help maintain the delivery of vital, free, ADHD CENTRE™ resources plus support services for adults and families living with ADHD. You can make a big difference to the lives of people with ADHD by donating now. Any money that you donate, large or small, helps. It's simple and secure! BE AN ADHD HERO. BEFORE THE FINANCIAL YEAR END MAKE YOUR SECURE, TAX DEDUCTIBLE DONATION HERE. Join the ADHD HEROES team on Sunday 13 August 2017 to walk or run the City2Surf. The ADHD HEROES are supporting the ADHD CENTRE™, an initiative of ADDults with ADHD, to provide evidence-based information and support through its helpline, information packs and publications. Most of the team are registering in the Orange (Back of the Pack) group but if you qualify feel free to choose another group. During the registration you will be given an option to support a headline charity. Please skip this section. After you complete your registration, you can go to Action Two: Become a fundraiser for the ADHD HEROES. You can make a big difference to the lives of people with ADHD by donating or raising some funds. Any money that you raise or donate, large or small, helps us greatly. It’s simple and fun. There are two ways you can get involved. You can DONATE to the ADHD HEROES TEAM or one of its members. Or REGISTER as part of the ADHD HEROES team to walk or run the CITY2SURF and raise funds - download the ADHD HEROES FUNDRAISER PACK now. 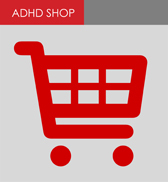 Download the ADHD HEROES brochure and share it with anyone who might be interested. Is there a link between ADHD and Impulsive Eating Patterns?